To ask you customers more information you can use a profile question. To add a question click on the Profile Question icon on the Dashboard. In the field provided, enter your question label, then decide between a drop down question (limited options from which customers will choose an answer), or a text field (where customers can write in any answer). 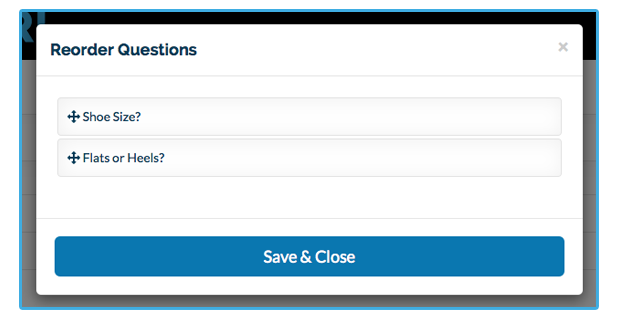 Once you've added all of your questions, you can delete them by clicking the trash can icon, or you can reorder them by clicking the "Reorder Questions" button. 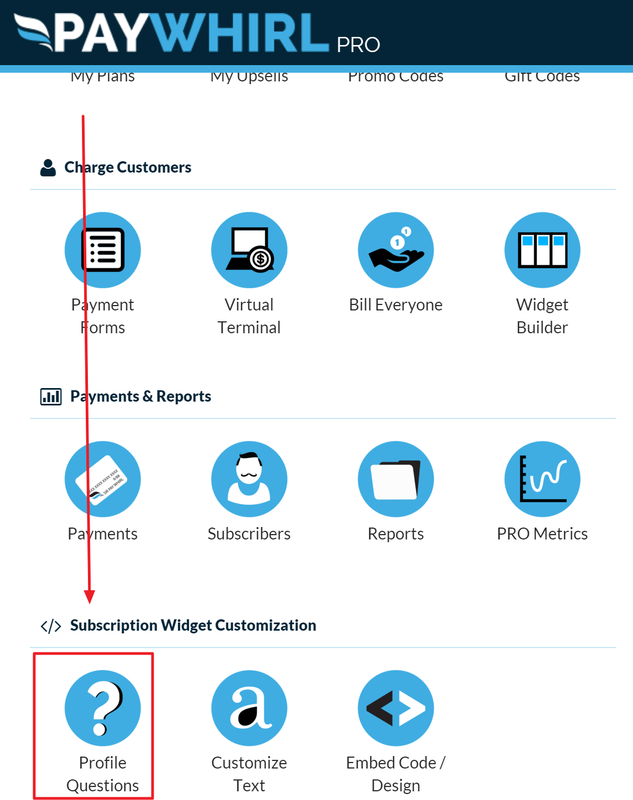 NOTE: The profile questions that you setup can be either optional or required. If they are required the customer will not be able to complete checkout without providing an answer. Customers can also login and update their profile questions at anytime if needed. This an be helpful if you'd like them to be able to update information between each shipment / order / etc.